The Brooklyn car accident attorneys at Sullivan and Galleshaw have seen plenty of car accident injuries. Whether the victims we represent are drivers of other cars, passengers, pedestrians, or cyclists, there are dozens of types of injuries we have handled. The following list includes some of the more common injuries people suffer in car accidents. If you or a loved one has suffered any of these injuries in a car accident, talk to an attorney. Even if you suffered another injury, you might be entitled to substantial compensation. Every car accident case is different, and injuries affect people in different ways. The Brooklyn car accident attorneys at Sullivan and Galleshaw may be able to help you find out what your case is worth. Whether you call them broken bones, fractures, or cracks, broken bones can be extremely painful and keep you out of work. 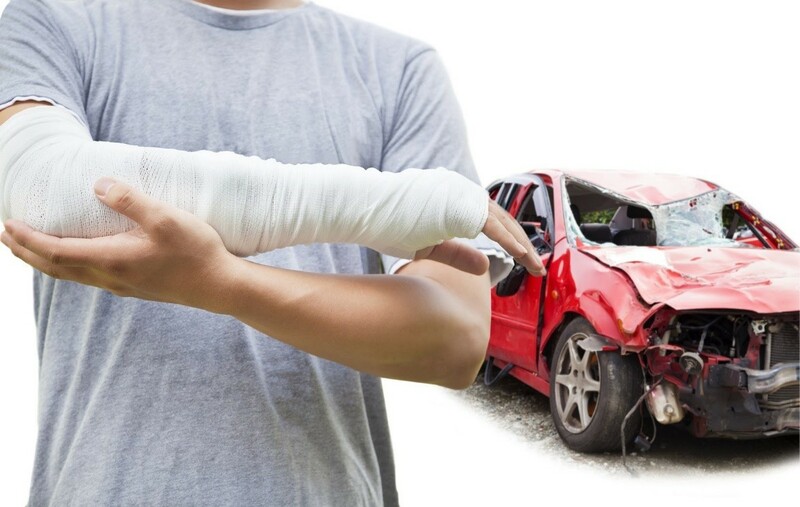 For drivers injured in a car accident, broken wrists can occur if you are forced into the steering wheel or dashboard during a crash. In side-impact collisions, occupants’ legs and arms could be pinned by a crushed door or side panel. Fractures come in different severities. If the bones are aligned, it may not take much treatment beyond casting or immobilizing. More severe, shattered bones could require surgery and implanted rods, screws, or other supports. If the bone pierced the skin, it could require extensive surgery to re-set the bone, repair the damage to skin and muscle, and let it heal. Car accidents often involve broken glass and flying debris. These can cause injury to the occupants of the car or other accident victims. While these injuries are generally less severe, some are quite terrible injuries. If you suffer cuts to the face or neck, stopping the bleeding can be difficult. Extreme blood loss is always dangerous. Make sure to have first responders or a doctor treat any and all cuts and scrapes that need treatment. Your neck and back all come together into the “spinal column.” The spinal column is made up of a series of tube-like bones stacked from your hips to the base of your skull. Between each bone is a piece of padded tissue called a “disc,” which helps the bones move without grinding. The muscles along your back also help keep everything in place. Neck and back injuries are commonly caused by the impact of a car accident. If any of these become injured or put out of alignment, you can suffer severe pain and discomfort. As the majority of Americans suffer from back problems at some point in their lives, these injuries are extremely common. More severe injuries to the back and spine can damage the spinal cord that runs through the tube-like “vertebra” of your spinal column. The spinal cord is responsible for sending all signals between your brain and the rest of your body. If the spinal column is thrown out of alignment, it can pinch the nerves of your spinal cord. Even more severe injuries could damage the bones and the nerves within. These kinds of injuries cut off the signal between your brain and your body below the point of injury. That means that the higher up the injury occurs, the greater the affected area. These injuries can cause numbness, loss of motor control, loss of feeling, or even full paralysis below the point of injury. Whiplash injuries are one of the stereotypically common injuries in a car accident. When you suddenly stop because of a crash, or if you are rear-ended and suddenly jerk forward, your neck can suffer injury. Whiplash is a combination of muscle strains, tendon sprains, and damage to the muscles, bones, nerves, and other tissue in your neck. When your head suddenly whips back and forth in a car crash, you can suffer severe pain and discomfort from whiplash. The effects of whiplash injuries often take some time to “set in.” This means you may not even notice them until the day after the accident. However, it is vital to seek medical attention, because many cases of whiplash give victims pain and discomfort for the rest of their lives. If you or a loved one was injured in a car accident in Brooklyn, NY, call Sullivan and Galleshaw. Our New York City car accident attorneys work to get compensation for injured drivers, passengers, pedestrians, and cyclists. For a free consultation on your car accident injury case, call (877) 311-HURT today.